Small and large organizations need a brilliant brand identity system capable of projecting a unified vision and creating a lasting impression. The visual devices that symbolize a firm are a cornerstone of its identity. Style guidelines should merge with identity systems to form a visual components package that is both cohesive and consistent. Some of the visual devices, which play a crucial role in leveraging the style guidelines and brand elements, include packaging, digital projects, and stationery. Signage, marketing collateral, and messaging are others. A logo is an essential and highly recognizable visual element that distinguishes an organization. It helps consumers discover, share, and memorize a brand. The logo comes in the form of a logotype, iconic mark (symbol), or a combination of the two. Typefaces and color are important elements of the design process; they generate unforgettable imagery in consumer’s minds. Angular shapes, spacing, and fonts also add impact to the visual properties of a logo. The designs have the capacity to convey subtle but powerful messages related to corporate identity systems. For instance, a company in the high-tech sector can portray innovation and sophistication by incorporating sharp elements into its logo design. Rounded shapes are well suited to the service industry because they are associated with friendliness and creativity. Of course, color choices also enhance consumer recognition. Although often overlooked, color theory plays a central role in the design process. Color and brand identity are linked inextricably since color has an instantaneous effect that conveys a message without words. Warmer colors like red and yellow provide a bold, energetic, and uplifting effect. At the same time, colors on the cooler side of the spectrum, such as blue and green, are calm and conservative. These factors determine how consumers perceive a brand. Although it is inherently difficult for companies to ‘own’ a particular color in their sector, doing so provides a substantial competitive advantage. Experts on the concept of market-driven colors recommend making use of one or two colors that are unique to a company. Trendy colors are well suited to companies targeting younger audiences whereas conservative or classic colors provide a more powerful effect on mature consumers. In today’s highly competitive global marketplace, leading brands exploit the potent power of color to make a distinction. A study conducted by the University of Loyola, Maryland, concluded that ad campaigns failed to capture the attention of consumers 60 percent of the time based on color only. Humans perceive color before noticing symbols, shapes, and words. In web design, the color scheme is a critical aspect that determines the impression made by the overall look of a website. In some cases, the designer is tasked with selecting the color choices. However, it is imperative that color usage aligns with the brand’s standard color scheme. Consumers are more likely to feel at home as soon as they view the landing page due to the consistency. 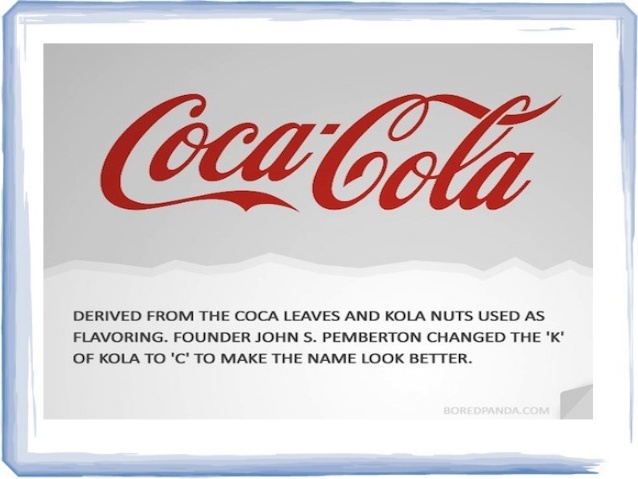 Font choice plays an influential role in the creation of brand personality as well. Companies need to use two to three fonts that are relevant to their market segment. Overuse of different types of fonts can have a distracting effect on the audience. Brands targeting kids should opt for fonts projecting a playful or fun message. The choice of fonts and spacing must align seamlessly with the organization’s color scheme and brand identity. Web designers consider the effect of fonts on the overall design and legibility of a site as a means to improve user experience. On the other hand, companies must consider various additional factors, such as the type of audience and brand identity. It is vital to avoid using identical fonts on all sections of the page; rather, select dissimilar but complementary fonts. Lettering for subtitles, text, and titles should appear as if it drawn from a single font category. The various font sizes of titles and content must be easy to read. The background color should complement the fonts and not distract the reader or reduce legibility. Some of the distractive font-background combinations that ruin readability include black on gray and gray on white. Spacing between lines and individual characters has a bearing on the overall quality of the content. It should stay consistent on all marketing materials and websites. Both small and large companies must pay close attention to how strategic graphic design impacts brand awareness. It is true that in graphic design, form does follow function. Creating the slickest and nicest materials does not preempt the need for integrating an organization’s brand identity into the designs. Consistency is an unavoidable prerequisite. Business goals must be the driving force behind the creative process and not vice versa. Companies need to furnish designers with the brand’s strategic framework. A solid collaborative effort has the capacity deliver outstanding design and valuable content that captures the attention of consumers. This in turn creates competitive advantage. Graphic design should integrate with the firm’s marketing mix regardless of platform or type of media used. The first and most crucial step in the design process is insight. Market factors and brand identity should influence final creative decisions. A collection of detailed consumer information is crucial. The next step involves the identification of unique creative concepts that help the brand stand out. This step should not only project a positive image, but also tell the story behind the company, product, or brand. Innovativeness and originality play a key role in determining the success of the process. Integration is the final step in the design process. It entails testing the effectiveness of the materials or website by monitoring and analyzing the response of consumers. The designs can be tested on various types of media to identify the most effective platforms. Companies can deploy the marketing content using interactive media, mobile apps, social media, television, or magazines. Once the brand identity has launched, it is vital to monitor and nurture it. This aims to retain or consolidate its dynamism in a forever-changing global marketplace. Companies may need to consider rebranding in the event that the market evolves, and the target audience shifts its attention. Marketers must strive to strike a balance between infusing new concepts into the brand identity system and maintaining consistency and familiarity.